...what's with all the people dying? Michael Jackson. Henry Surtees. Yasmin Ahmad. 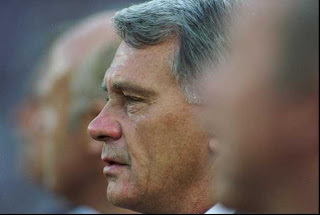 And now Sir Bobby Robson. Though he has been unwell, the word 'shock' cannot even begin to describe my reaction. I just don't know what to write anymore. Farewell, Uncle Bobby. May you rest in peace. Congrats on winning the Malaysian Film Fest short film award. Will you be attending the Pusan Film Fest this year as well? Someone's been paying attention. :) TQ. I may or may not make it to Pusan. If I do, it'll be halfway through, perhaps; I have to shoot my grad project.